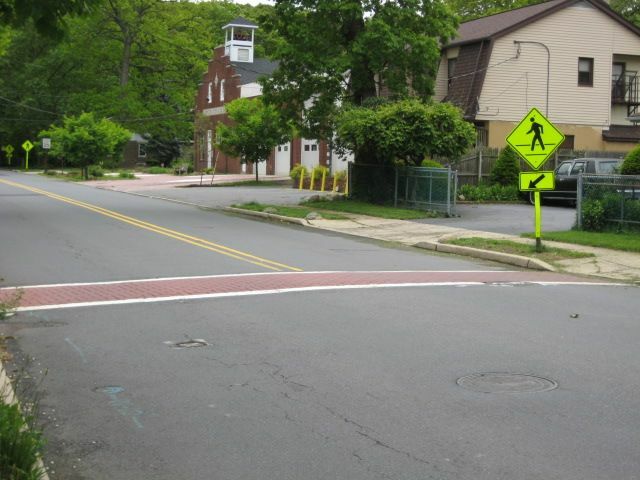 Mercer County is planning improvements to a number of intersections in West Windsor that will make our roads safer for pedestrians. 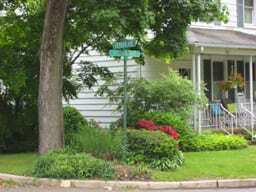 Several of these involve Princeton-Hightstown Road/Route 571 or are near our schools. Some existing pedestrian signals will be upgraded to include countdown displays. Ramps that comply with the Americans With Disabilities Act (appreciated by those pushing strollers too!) or detectable warning surfaces will be installed along with those upgrades or where roads are being resurfaced. In addition, Mercer County will mill and resurface Princeton-Hightstown Road/Route 571 between Clarksville and Slayback as well as Clarksville Road between Everett Road and North Post Road. Take a look at the WWBPA’s annual report, recapping many of our activities in 2009. In 2010, our focus will be on promoting bicycle safety education to children and adults, partnering with schools to promote safe routes to school, highlighting existing bicycle and pedestrian links and advocating for connections to fill in missing links. 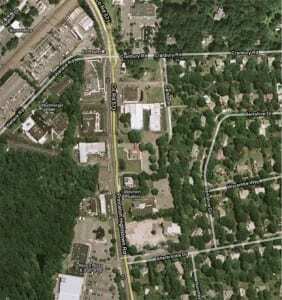 We are determined to improve our main street (Princeton-Hightstown Road/Route 571) . We also have heard the need for safe connections to Plainsboro and want to start the conversation now. Join us at our annual meeting, 7:30 p.m. Thursday February 25 at the West Windsor Municipal Center, to talk about how to best achieve these goals. Together we can make a difference and get closer to our goal of a bicycle and pedestrian-friendly community. The WWBPA welcomes Andy Clarke, executive director of the League of American Bicyclists, as the guest speaker at its annual meeting on Thursday, Feb. 25 (7:30 pm at the West Windsor Municipal Center). LAB champions bicycle-friendly communities, not only for the safety of bicyclists but for the wider economic benefits to the community. As well as working on policy issues, Andy has managed a range of bicycle and pedestrian planning projects at the state and metropolitan levels and has worked extensively with state and local advocacy groups. New Jersey has yet to have a community be designated as bicycle-friendly by the LAB. Can West Windsor be the first? 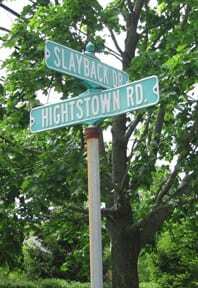 Transportation planners recently revealed that Princeton-Hightstown Road/Route 571 has 50% more accidents than similar roads in New Jersey. One list West Windsor and Mercer County didn’t make is Tri-State Transportation Campaign’s ranking of the most dangerous roads for walking in New Jersey, based on pedestrian fatalities from 2006 through 2008. Scroll down the breakdown by county to see where the 13 were in Mercer County and the 49 were in Middlesex County. The most dangerous road? Route 130 in Burlington County. Let's see the right changes to this dangerous road. The WWBPA’s recommendations in response to Mercer County’s “concept” plan for Princeton-Hightstown Road/Route 571 are getting plenty of attention. Please take the time to read our lengthy comments aimed at making this busy stretch of roadway safer for bicyclists, pedestrians and motorists and making it more in keeping with the Main Street our town deserves. Leave a comment below to let us know your thoughts about what needs to be done. Pedestrian-activated signal that stops traffic at Sherbrooke Drive. This can be done as a first step, before the millions of dollars needed for the full concept plan is found. Councilwoman Linda Geevers wants a formal response from the engineers and/or consultants to the recommendations and suggested that they may want to meet with us. “Many thanks to you and the WWBPA for your efforts to keep 571 at the top of the list. It has been a long process to get it this far and we have to keep pushing to make sure it doesn’t slip in the list of priorities. I just want to comment on item #2. As you know the Mayors Task Force (bike/ped life before WWBPA) took an active role in working with the County and the Township to help design the plan that we have today. Some time during that process the idea of medians was proposed. The County was adamantly opposed to this idea for some very practical reasons. 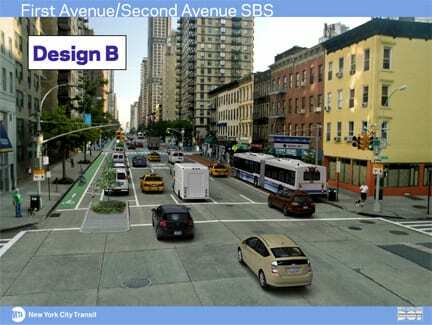 The road would have to be significantly wider to accommodate medians. This would require more taking of property and a greater engineering cost. Since the County is responsible for 571 maintenance they opposed medians due to upkeep and the difficulty they present for plowing.Landscaped medians (and ordinary ones as well) require maintenance. Since the properties along 571 would eventually change (we hope) with some being consolidated (we hope) the placement of driveways and cross-overs are yet to be determined. As for the change in speed-limit and a signal at Sherbooke, these are improvements that would not effect the current design. Once again, please leave a comment below to let us know your thoughts about how to improve this road. Thank you! To see comments already entered, please click on Comment here or below. 6) Participate in WWBPA activities and attend the WWBPA annual meeting on Feb. 25, where an action plan for 2010 will be discussed. 4) Work on other upgrades to our network of trails, including better signage. 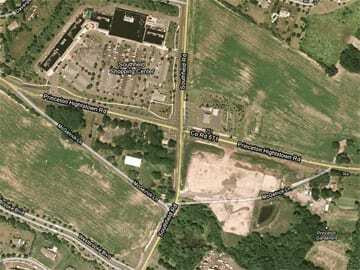 West Windsor’s Planning Board will consider a proposal on January 6 to consolidate five residential lots between Route 571/Princeton-Hightstown Road, McGetrick Lane and Southfield Road for a mix of office and retail uses. The WWBPA is aware that this area is difficult for bicyclists and pedestrians and will evaluate the plans to ensure they bring us closer to a bicycle and pedestrian friendly community. This article about the project appeared in the West Windsor-Plainsboro News ahead of the meeting. Update: The WW-P News report on the meeting. No decision was reached. In 2010, the Township plans to install a sidewalk in Berrien City, on Alexander Road north of the intersection with Berrien Avenue and running west toward the intersection with Wallace Road. It also intends to narrow the throat of the kiss-and-ride train station exit to shorten the crossing distance and add another crossing of Wallace Road. This is in keeping with recommendations contained in the 2004 Orth-Rodgers report and is best illustrated by figures 10 and 11 (pages 41 and 42). This is another good step toward greater pedestrian safety near the train station, and the WWBPA hopes it will be followed up with sidewalks on the west side of Scott Avenue.